Pro-life campaigner and activist Katie Ascough was elected president of UCD’s Students’ Union which voted to maintain their pro-choice position on abortion last year. More students voted in UCD’s abortion referendum last year than in this year’s UCD Student Union presidential election. Pro-life campaigner and activist Katie Ascough was elected president of UCD’s Students’ Union which voted to maintain their pro-choice position on abortion last year. 3,237 votes were cast in the election, while 4,726 were cast in the referendum to maintain UCD’s SU pro-choice position after calls for a neutral stand were made in November. One UCD politics and economics student, who wished to remain anonymous, said students need to reflect on the lack of voter participation in the SU election. “Everything in the Union has checks and balances, so I think the onus is on next year’s Council to make sure that everything is discussed, debated and accounted for,” the student said. The student went on to explain how while such debate may be helpful, the reaction on social platforms such as Twitter to her election thus far has been “vicious”. “I do understand that people were extremely upset and do feel genuinely isolated and disenchanted, but some of the names and comments about [Ascough] were very personal and hurtful,” the student said. 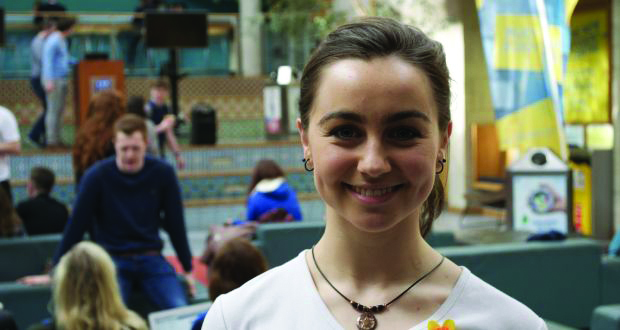 Ascough, a third year UCD Science undergraduate and member of Students for Life, commended her fellow students for not dismissing her for personal views on abortion and vowed to represent all students in a speech following the campaign. Ascough writes a column in the monthly Catholic magazine Alive! and her father sits on the Iona Institute board of directors, an institute that promotes the place of marriage and religion in society.